Best Western Premier Gangnam Hotel is centrally located in Gangnam business district, a short 5-minute walk from Shinnonhyeon Subway Station (Line 9). It provides free Wi-Fi and free wired internet. A business centre and a gym are available. 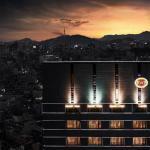 Best Western Premier Gangnam is a 10-minute walk from Gangnam and Yeoksam Subway Station (Line 2). The KAL airport bus limousine service from Incheon International Airport stops directly in front of the hotel. The air-conditioned rooms come with a 42-inch flat-screen TV, minibar and personal safe. Bathrobes and slippers are also included. Private bathrooms are equipped with a bathtub. The on-site restaurant serves local and Western dishes. There is also a bar and lounge where guests can enjoy refreshing drinks. Other services at the hotel include room service, laundry and dry cleaning. Parking is free..
We plan to add more related stuff like: pet friendly hotels in Seoul, Republic Of Korea dog friendly hotels in Seoul, dog parks in Seoul, pet stores in Seoul, , and pet spas in Seoul. Keep checking for more!